This then opened the gates for other filling confessions, peanut butter and crisps, Marmite and strawberry jam (really! ), Spam and chips...I really can't think of an item of food so personal to an individual. 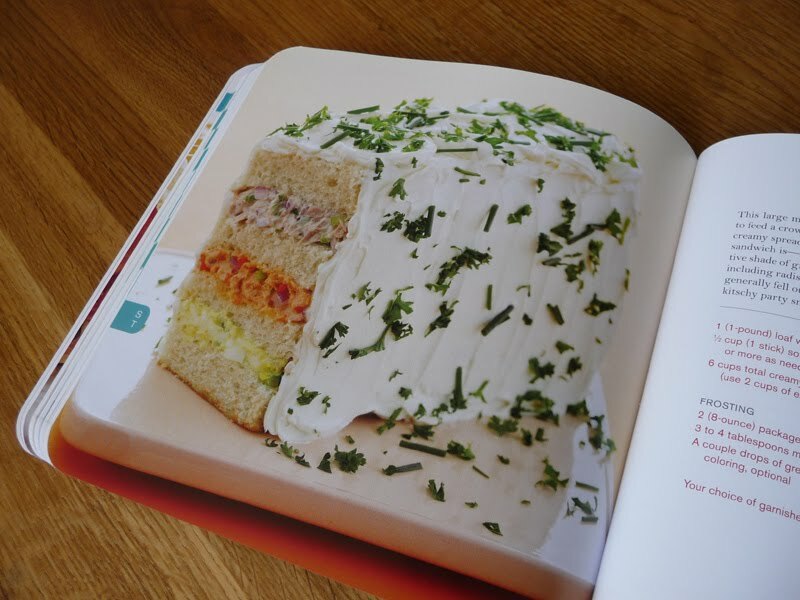 I mean sandwiches can be as famous as the people they are linked with. Take Elvis and his beloved peanut butter, bacon and banana sandwich, Paddington Bear and marmalade sarnies, Friends character Joey and his baloney sandwich. 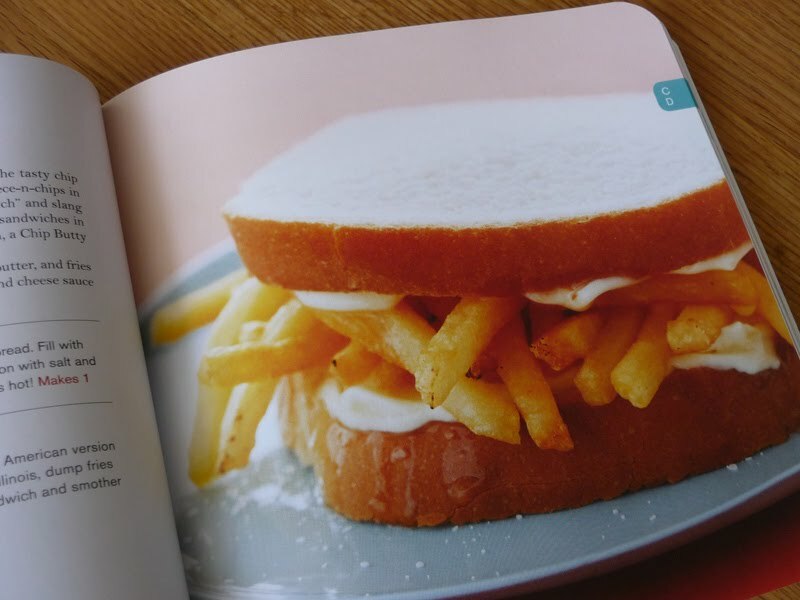 London restaurant opening have even the sandwich as an acceptable format for future-classic desserts. 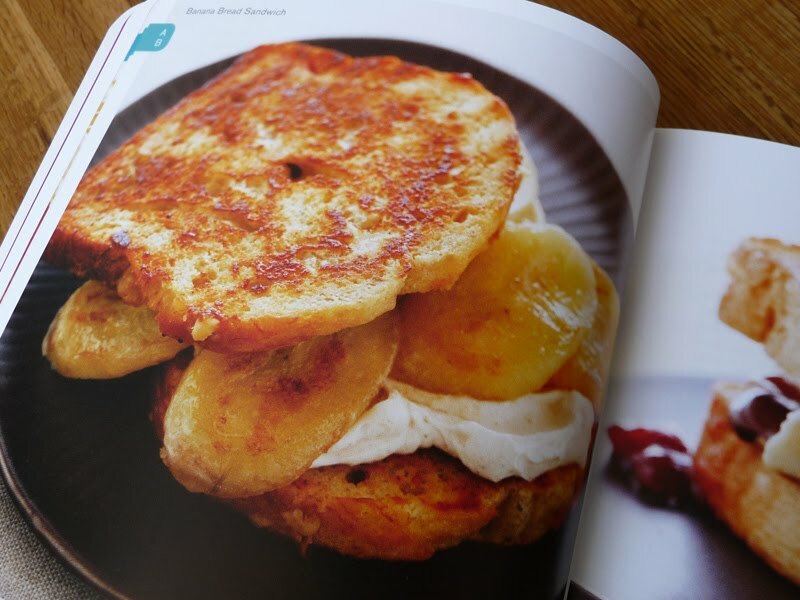 A blogger favourite du jour is Spuntino's take on an ice cream peanut butter and jelly sandwich. Sandwich, sarnie, sanga, sammich and er, butty. Whatever you want to call them, everyone loves them. The idea of a "cookbook" for sandwiches does seem like a load of old baloney at first but The Encyclopedia of Sandwiches is so much more than that. Yes it does list methods and ingredients (in US cups - a cup of Baked Beans, seriously!) but the annotations, origins and trivia for each one is fascinating. 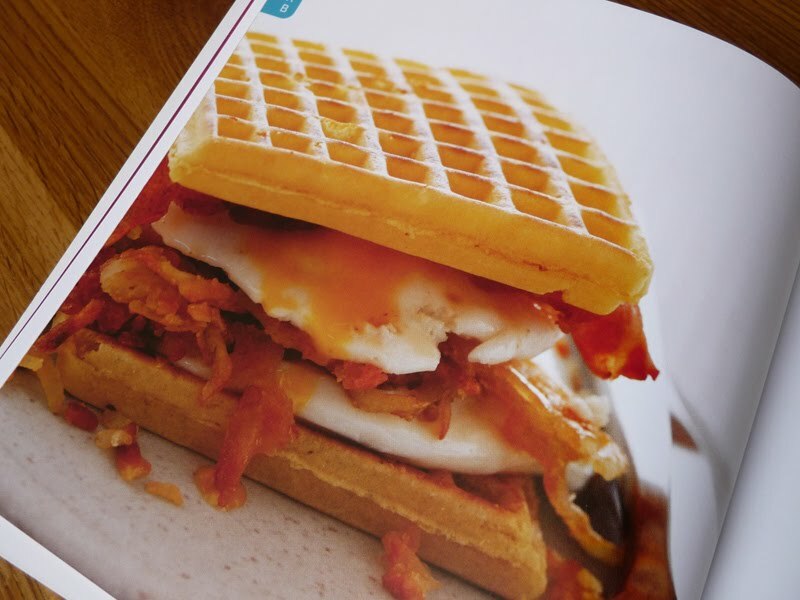 The breakfast sandwich was born from a "crazy" idea by McDonalds franchisee Herb Patterson in 1972. The club sandwich debuted in 1894 at a gentleman's club called the Saratoga Club House in New York. The Croque-Monsieur was concocted as French workers left their ham and cheese sandwiches near hot radiators and voila! a new sandwich was born (apparently). I had no idea that the Hamburger was introduced to America by German immigrants in the mid-nineteenth century and the Hoagie is the the Official Sandwich of Philadelphia. 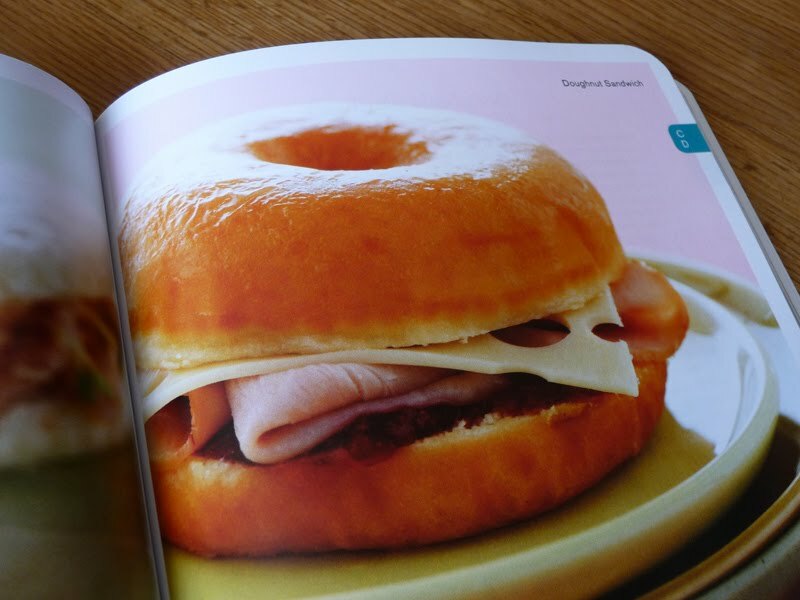 As this is an American book, it predominantly features American (and the infiltration of influence by immigrants) but makes for a fascinating read into the sandwich culture of the US. The Lobster roll, Dagwood, Hero, Hoagie, Grinder, Po'boy, Ruben a few of many. However, delights from the rest of the world are also featured. The Croque-Monseiur, Muffulatta (a Sicilian hollowed out whole loaf filled with layers of salami, mortadella, cheese and olives), the BLT, Falafel Pitas and the chip butty are in there too. You'll even find out what the hell a Fluffernutter is (and no it's not that). A really interesting read between two covers. 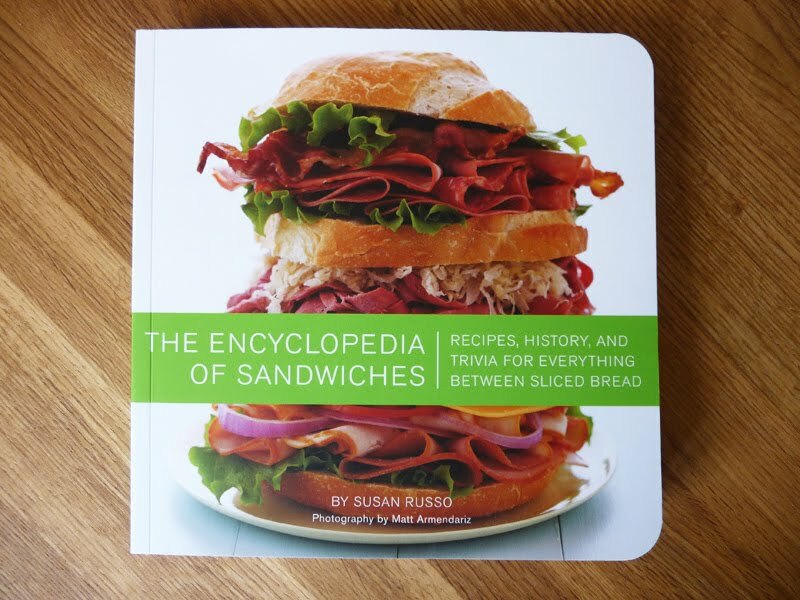 The Encyclopedia of Sandwiches by Susan Russo is published by Quirk Books and costs £11.99. Many thanks to The Publishers Group for this copy to review.